SALISBURY — Rowan Crosby Scholars is increasing its reach with two new, grant-funded staff members. 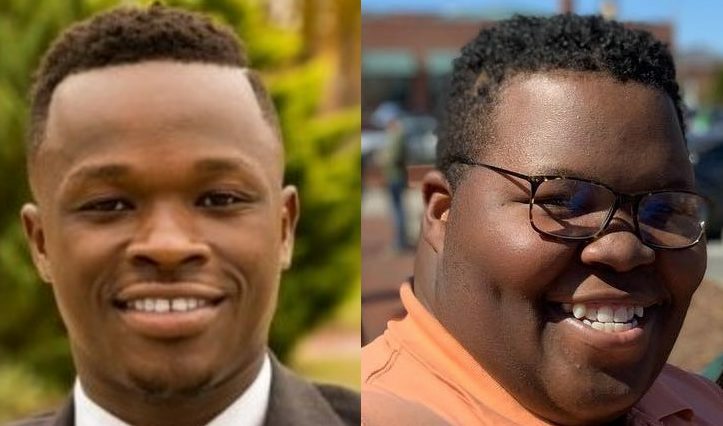 New this year are middle and high school outreach specialists, David Stevenson and Hanson Saryee. Executive Director Jessica Vess said the hope is that the additions will help reach more minority groups, like African-American men and Latinos. David Stevenson, a 23-year-old Catawba College graduate, is the high school outreach specialist. Stevenson will assist the Crosby Scholars high school program coordinator and will be based at East Rowan High School working with freshmen across the county and sophomores at East Rowan. “It’s advising them on their academics for college. … It’s helping them graduate high school,” Stevenson said. Stevenson said he’s happy he gets to remain in Salisbury — a community he fell in love with during college — and to help students who may fall through the cracks. “It’s really great because I’m here to fill a gap, fill a need in our community,” he said. The middle school outreach specialist is Hanson Saryee, a Philadelphia native and Salisbury transplant. Saryee, 23, graduated from Salisbury High School before pursuing an undergraduate degree at the University of North Carolina at Pembroke. He said he’s eager to give back to his community. Once school starts again, Saryee will be based at North Rowan and Knox middle schools, though he’ll reach out to students across the county. Saryee said he’ll help guide students and get them thinking about their future, as well as be a helping hand and a support through a difficult period in life. “It’s a lot of change, a lot of transition moving from middle school to high school,” he said. Saryee will offer information and let students know what resources are available. It’s an opportunity he wishes he’d had in school. “One thing I’m excited about is working with the kids and providing them with what I didn’t have,” he said. Both staff positions are funded by a donation from local philanthropist Fred Stanback. Vess said with Stevenson and Saryee on board, she has high hopes for reaching new students. “We’re excited to have more representation,” she said.